Surprising, it is almost sweater weather here in Wisconsin this weekend--high of low 70's and lows in 40's at night. It feels good. 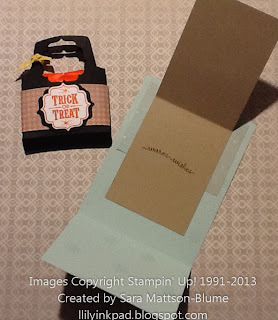 Today, I am going to post the recipes of my cards and projects from the blog hop and show you how I made the pouch. 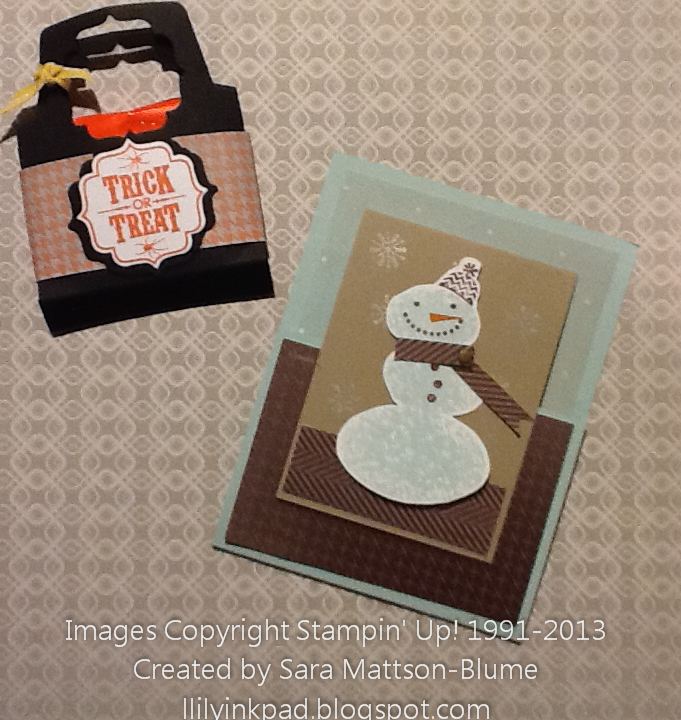 Tomorrow, I'll post the video of my Sweater Weather Quilt Card. This is a pretty straightforward card. Stamp. Layer. 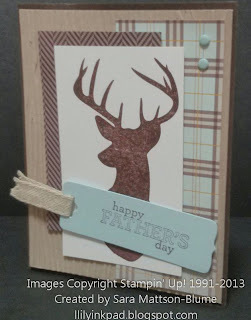 Embossing background. Stamp Tag. Add Ribbon. Add candy dots. Base is 4 1/4 by 8 1/2, score at 5 1/2. The inner flip part (Crumb Cake) is 3 x 8 inches, scored at 4 inches. I simply used my Big Shot to cut two of the smallest Envelope Insert Framelits. I scored each 1/2" from the bottom of each. I folded these over and then adhered them. For the "handle," I used the new Bracket Label Punch to cut out two holes. 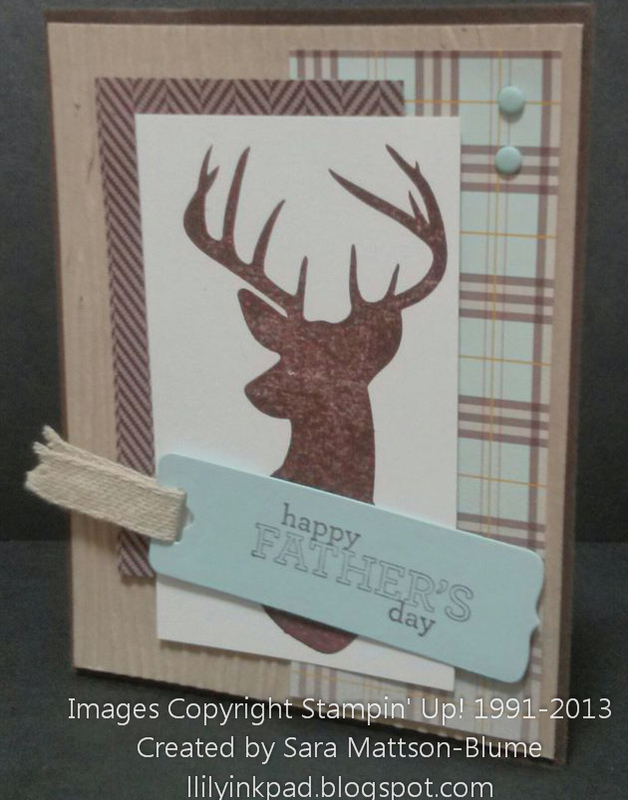 The image was stamped in Tangerine Tango and then punched the same way. Easy and cute. My favorite.